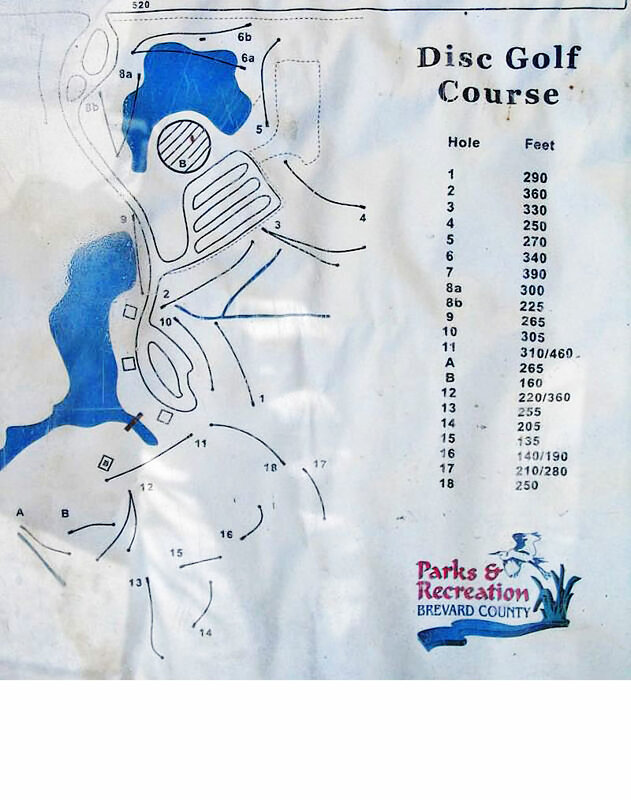 Short and challenging, featuring many doglegs and an "over the water" hole. Player contact; Mike Wesley 321-302-0431. 95; exit 201 to Rte. 520. Go west on 520 (King St.)ct 3.8 miles to park entrance on left. 1st tee by far end of parking lot. front 9 is mostly fairly open, while the back 9 is cut out of the woods. they keep adding holes, not all of them are signed/marked so it helps to play with someone who knows the course. Lots of fun, but also lots of chances to lose a disc. very close to the lone cabbage (where they feed wild gators), so be careful going in the h2o after your discs! usually the park is pretty empty and unless there's a club event the course is usually empty as well. one of my top ten favorite Florida courses due to the diversity of hole design.